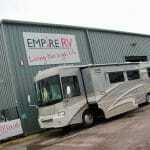 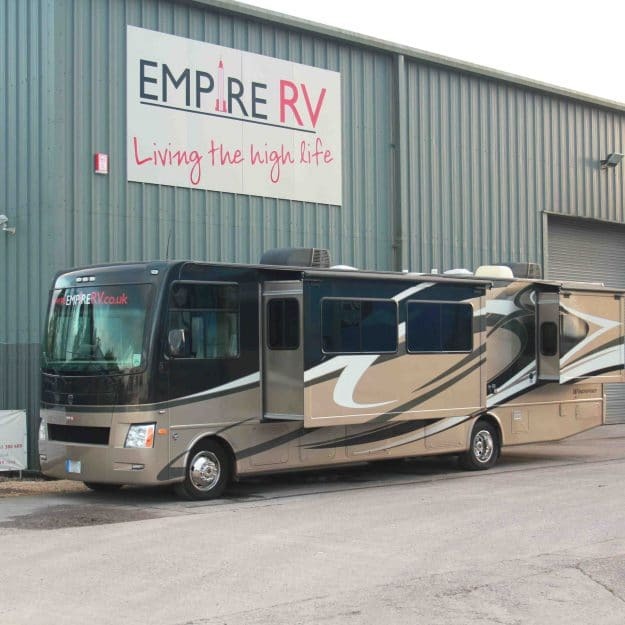 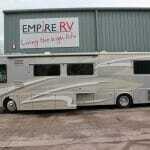 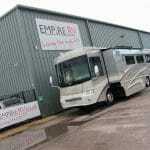 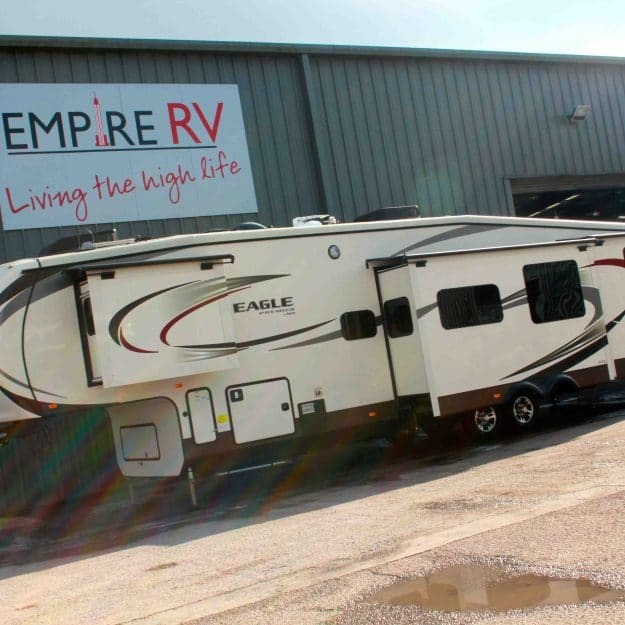 We have another great Itasca Horizon 40TD American Motorhome currently in stock here at Empire RV! 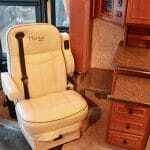 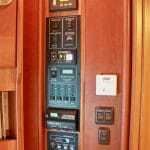 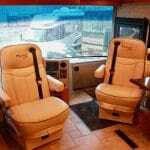 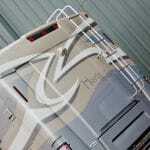 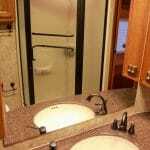 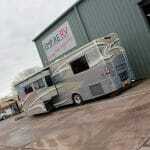 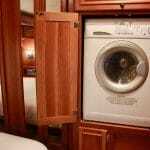 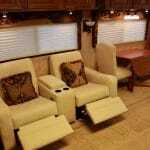 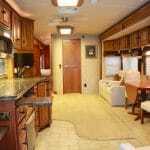 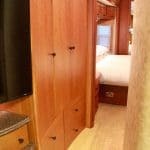 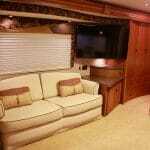 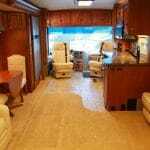 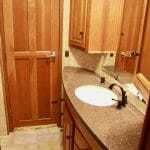 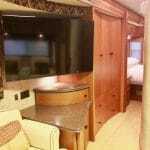 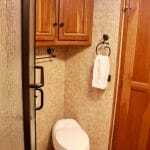 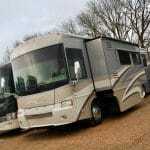 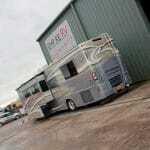 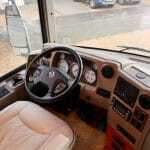 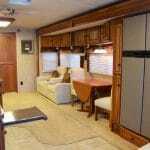 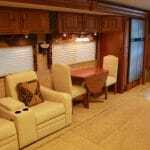 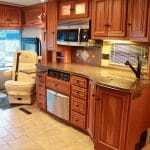 This has to be one of the biggest and best Itasca Motorhomes on the market today. 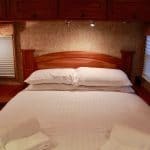 Rarely do these luxury landships become available outside the USA, especially ones that are specified with just about every conceivable option that was available when it was ordered new from the factory. 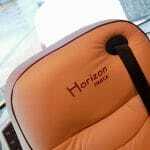 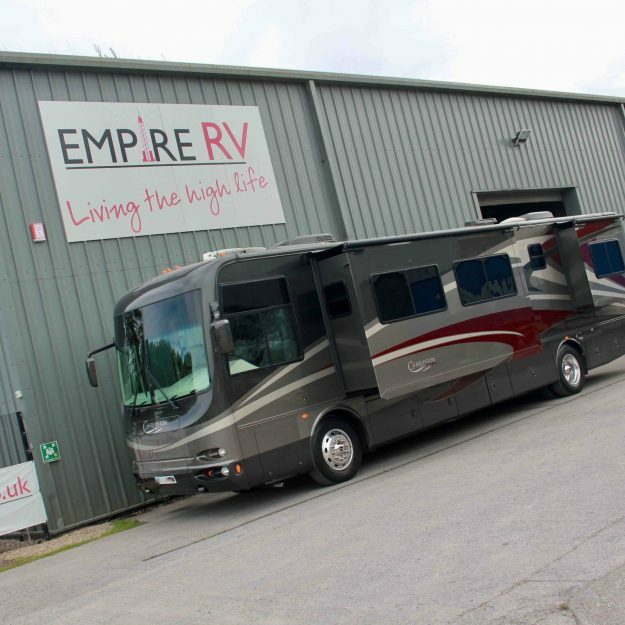 It simply oozes quality and luxury! 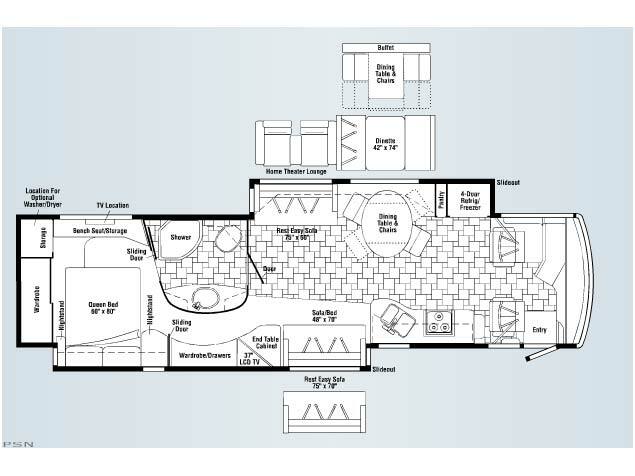 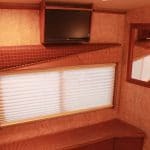 This 40′ RV is based on the fabulous Freightliner “Evolution” chassis, and features a 400HP Cummins turbo diesel engine for awesome power and driveability, with its twin slide and opposing offset slide-outs creating a huge internal space for living, dining, and sleeping. 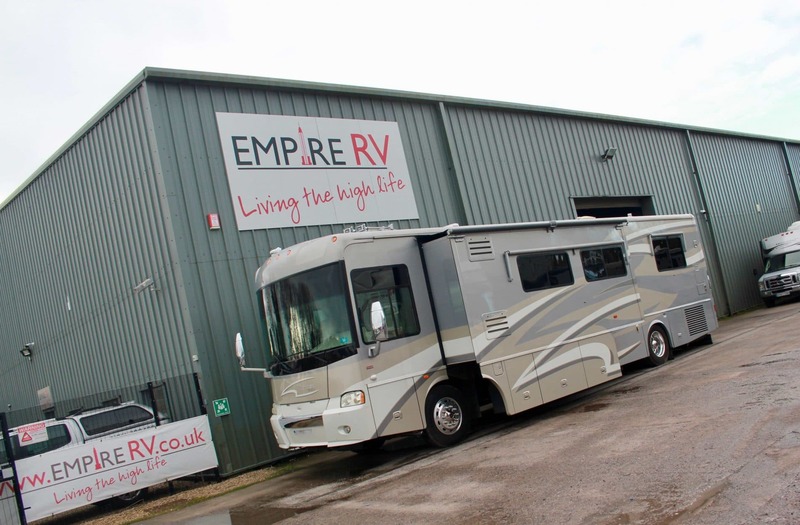 The list goes on and on…just take a look at the original factory brochure for a detailed overview of this vehicle, and the massive specification it carries. 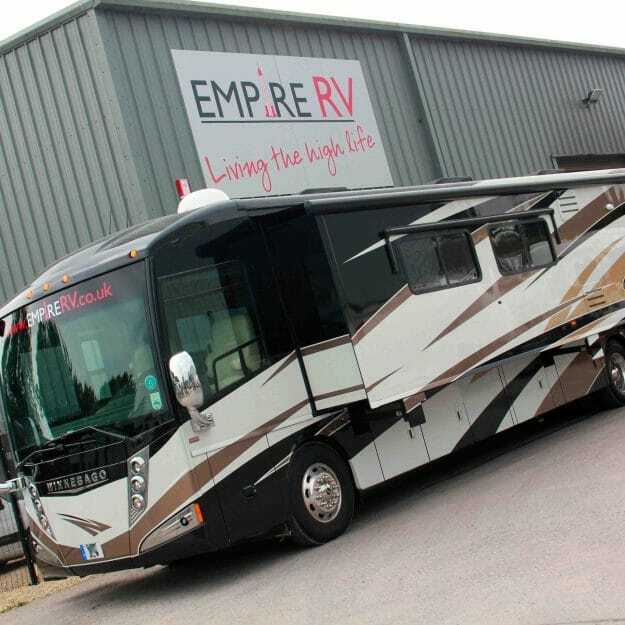 If you’d like to experience this beautiful Itasca Horizon 40TD American Motorhome in-person then please call to arrange a visit and vehicle tour with our expert team at our Somerset showroom.